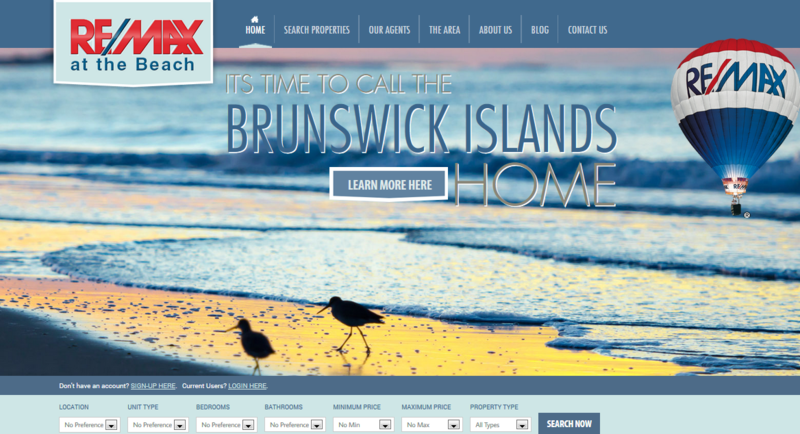 Remax At The Beach, headquartered in nearby Holden Beach, NC, recently turned to InterCoastal Net Designs for a full responsive redesign and MLS integration. With offices in Oak Island, Sunset Beach and Calabash as well, Remax At The Beach is a big name in the local ICND community. We’re excited to announce the launch of their custom website last week. The responsive website, which scales to fit the device you’re viewing it on, is easily navigable with a customized advanced search tool. You can begin searching for the beach property of your dreams right from a handheld device! Other custom features of this MLS integration include: rotating homepage images, a wide & modern design, featured property widget, featured agent widget and an easy-to-use quick search on the homepage of the site. Remax At the Beach now has a fully functional, custom and unique website that InterCoastal Net Designs’ is proud to showcase! If you’re in need of an MLS integration, allowing your properties to display seamlessly on a customized website, contact the team at ICND today. Thanks Remax At The Beach for working with us, we’re excited about this local partnership!